Volunteers at St Andrew’s Church in Barons Court have transformed the church grounds. Across the project, over 300 “volunteer hours” were recorded and around 20 individuals gave their time. Over 200 bags of refuse were removed from the site. More than 100 new plants of many varieties have been planted. The garden looks a little new and wintry at the moment but it is all set to flourish in the spring. Today the gardens were blessed by Archdeacon Stephan Welch. The Deputy Mayor of Hammersmith & Fulham, Cllr Daryl Brown, gave a speech and opened the gardens. She referred to the fact that plants prefer to live in groups, and that under the ground, plants share information and nutrients. The little holly tree donated by W6 Garden Centre in Ravenscourt Park looks very comfortable and perfect for the spot. Below the ground, plants form communities and share resources. Above ground, volunteering and community spaces help to make communities thrive. A guest post from Mark Higton. The Church of St Katherine, Westway, cuts a dark and foreboding silhouette as one drives along the A40. Many assume the Church to be disused, or abandoned, and it’s stark 1950s concrete prefab design, now cracked, darkened, and ravaged by acid rain, does nothing to disabuse the casual motorist that it is not; nor does it hint of the dynamic Rev. Jim Tate, his wife Lesley, and the wonderful congregation that can often be found within. Those that look upon the Church often wonder “Why on earth would anyone design such an ugly Cross.” To which the reply is “the architect didn’t”. The ‘Cross’ is not a cross in the strictest sense, but a relic from the broken and twisted steel superstructure that jutted defiantly out of the shattered and burnt remains of St Catherine Coleman after it, and houses on The Westway, The Curve, and Hemlock Road, were destroyed by enemy action on the night of the 12 th of October 1940. Please spare a thought for Mrs Emily Tanner and her son Raymond, of No 104 The Westway, Mrs Grace Hoggart and her daughter Ellen, of No 8 Shepherds Bush Road, and Charles Hallpike and his sister Lucy, of No 4 Shepherds Bush Green, who were all killed as they slept; for Mr Alfred Baker, 24 The Curve, and Mr Arthur Underhill, 48 Norland Road, who died as they were taken to Hammersmith Hospital; and for Mr John Bartlett, of No 47 Bloemfontein Road, who passed away the following day. However the biggest single loss of life in Hammersmith occurred on the 25th September 1940, when the Sun Pub, 120 Askew Road, suffered a direct hit. It is said that 55 people were killed and wounded. These include Mary Barrett, Michael Dollymore, Ernest Finch, Ethel Furnish, Arthur Green, Jean Hillier, Robert Hillier, Alfred Kimpton, Albert Matthews, Edward Newman, William Orridge, William Percy, Charles Rogers, William Smith, Claude Sparkes, Gladys Sparkes, Stanley Warne, and Charles Wood. Imagine the scene, if you can. The bravery of the ARP, Civil Defence Volunteers, police, firemen, and residents excavating the smashed wreckage, alert for the cry of the wounded and dying, against the deafening sound of the Anti-Aircraft Guns of Ravenscourt Park engaging enemy aircraft over head. I also reflect upon the resolve of the London Auxiliary Ambulance Drivers, my great aunt Winifred Higton included, National Emergency Health Service, and the gallantry of the RAF. When the Church of St Katherine, Westway, was finally built in 1959 it did not win any plaudits – unlike the Church that preceded it – however Mr J R Atkinson, the son of the architect of the first church, should perhaps be forgiven for the brutal post-modern design. It is not merely a Church, but a monument to all those killed in the Blitz, the horror and brutality of war, and the bravery of local residents from all walks of life, of which Hammersmith can be proud. N.B. The Rev. Jim Tate would be grateful for help to conserve the Cross, please contact mark.higton@gmail.com if you would like get involved. This is a slim volume, but it is packed with fascinating material about the development of this beautiful corner of Hammersmith. The man responsible was George Scott who was born in 1780 and lived in a house at Lower Mall. In 1807 he married Hannah Lucy Stoe, the daughter of a market gardener, who brought with the marriage settlement £5,000 and a significant portion of land between King Street and the River. In 1812 they bought the Palingswick estate, including the Ravenscourt manor house and its grounds, for £15,000 and made it their home. Then the 1820s and 1830s saw the building of the St Peter’s Estate – St Peter’s Square, Black Lion Lane, St Peter’s Villas, St Peter’s Road, St Peter’s Grove, Theresa Road, Theresa Mews, Beavor Lane and the part of Standish Road. How awkward. It just goes to show if you don’t ask you don’t get…. Incidentally, Sir William personally saved the garden in the middle of St Peter’s Square – buying it to prevent it from being built on. He took a considerable financial risk. But after some dithering, the Hammersmith Council bought the land from him, thus allowing the public open space we still enjoy today. It was not the last time that proposed overdevelopment was to be a source of local controversy. It does sound as though Sir William was an MP with the right attitude to public service. He gave a fine speech in 1909 arguing that MPs should not be paid. One of his arguments being that we would then end up with councillors being paid. We would have “a very distinct class of professional politician” who went into Parliament for what he could make. The poet and novelist Robert Graves lived at 35 St Peter’s Square. At that time the area had a bohemian reputation and was known as London’s “free love quarter”. Graves had ménage à trois with his first wife, the artist Nancy Nicholson and their four children, and his mistress, the American poet Laura Riding. My uncle Geoffrey lived there too. At one stage there was a supposed “double suicide” attempt. I was told this was a serious effort by Riding – who jumped out from the top floor and although she was seriously hurt, survived. It was more of a symbolic reflex by Graves – who took the precaution of running down a couple of flights of stairs first before making the gesture of jumping out of the first floor window and having a few minor cuts and bruises. The Carpenter’s Arms opened in 1873. The Cross Keys pub, which opened in 1828, was named after the crossed keys – as in the keys to Heaven, the sign of St Peter. There is also a chapter on schools. George Scott’s daughter, Hannah, endowed a girls school in St Peter’s Grove. It opened in 1849 and is still going as a Church of England primary school for boys as well as girls. Again, William Bull bought some land, at significant financial risk, to allow the school to expand. They eventually managed to pay him back. I am very keen to see the road tunnelised and the old street patterns and housing restored. As someone who trudges around knocking on doors canvassing I was interested to hear where all the names of various streets and blocks of flats come from. British Grove was named after the British and Foreign Schools Society. (Frederick Walton the inventor of Linoleum lived there and had an adjacent factory that churned out the squidgy floor covering.) Miller’s Court, down by the River, was on the site of Miller’s Bakery. Beavor Lane was named after a chap called Samuel Beavor who built a house there in 1757. Chambon Place was on the site of the Chambon Works, a French owned factory manufacturing printing presses that was apparently opened by General de Gaulle. Standish Road was named (for no particular reason) after Myles Standish who was a military adviser to the pilgrims on the Mayflower. Samels Court, the three blocks in Black Lion Lane just south of the A4 built in 1967, were named after Bertie Samels – a confectioner who was Mayor of Hammersmith from 1926-31. These are many more insights into the area – both poignant and entertaining. A must read for those lucky enough to live in the area – and even those that don’t. As part of Open Garden Squares Weekend, the residents of John Betts House and Sycamore House invite you to enjoy their special gardens. There are over 200 gardens to explore across 25 London boroughs ranging from the historic and traditional to the new and experimental. Tickets for the whole weekend cost just £12 and children under 12 go free, from Open Squares. Tickets on the door for John Betts House and Sycamore Gardens are £4 for each garden. Proceeds go to London parks and open spaces. The gardens are a platform for workshops and social events enabling people to work in their own part of the garden, or to simply relax and enjoy. Last year, they were placed third with a Silver Gilt in the Small Community Garden category of the London Garden Society’s 2015 competition. The sheltered housing gardens continues to win awards. Sycamore House won the Large Community Garden category of the London Garden Society 2015 annual competition. • Tea, coffee, homemade cakes, plant and craft stall. They do this by managing vibrant sheltered housing communities for older people, funding a community based grants programme, including the Wormholt & White City Big Local, and by working with local people, organisations and businesses. A great way to show your support for their work for the next 400 years is to leave a legacy. 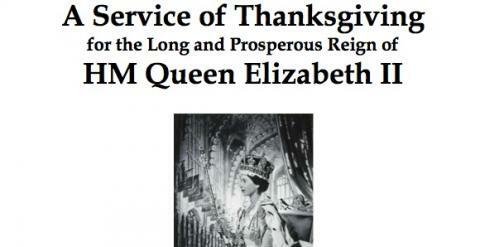 A Thanksgiving Service to celebrate the Queen’s milestone as the UK’s longest serving Monarch will be held at Holy Innocents Church, Paddenswick Road, W6, at 10am on Sunday 13th September. The service will be followed by a reception in aid of local charities, where people will have an opportunity to share their memories of the Coronation. Afterwards to mark both the event and the relaunch of The Thatched House, a lunch will be held. Please contact administrator@HISJ.Co.UK to book spaces by September 9, at own cost. There will be a collection in Aid of Angola London Mozambique Association (ALMA) and our Partners-in-Mission in the Province of the Anglican Church of Southern Africa.